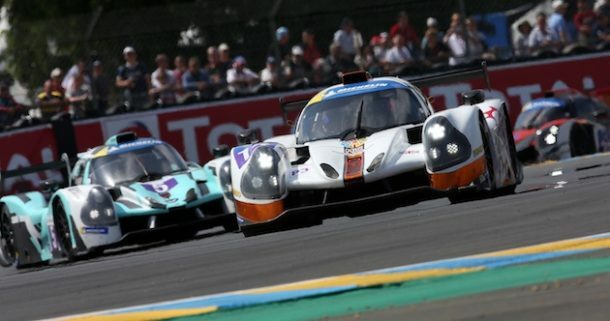 The Lancashire-based team competes in the uppermost echelons of international sportscar racing and last year won the European Le Mans Series (ELMS) LMP3 Teams’ and Drivers’ titles, to secure a coveted invitation to the 87th edition of the 24 Hours of Le Mans, to be held in June 2019. RLR MSport – a member of HM Government’s Northern Powerhouse Partnership programme – intends to defend its LMP3 crown while also vying for glory on its return to the ELMS’s headlining LMP2 division, with ex-Formula 1 star and FIA World Endurance Champion Bruno Senna – the nephew of three-time F1 World Champion, Ayrton Senna – at the wheel of its ORECA 07 race car. However, victory in the 24 Hours of Le Mans is also a top priority for RLR MSport; the French endurance classic is arguably the world’s greatest motor race and it stands as one third of the Triple Crown of Motorsport, alongside the Formula 1 Monaco Grand Prix and Indianapolis 500. Held annually at Circuit de la Sarthe since 1923, Le Mans tests automotive brands’ and racing teams’ abilities to develop and build the fastest and most durable cars, encouraging them to focus on innovation in reliability and fuel-efficiency. In 2018, over 263,000 trackside spectators turned out to watch the twice-around-the-clock enduro, while millions more from 190 nations tuned in to comprehensive coverage of the race on television and online, making Le Mans the world’s biggest sporting event. With European championship titles and a Le Mans win on the agenda, RLR MSport is inviting companies to support its high-profile racing programme, in exchange for a wide array of opportunities and assets that will enable them to raise awareness of their brands, products and services, increase reach and engagement to large global audiences, tap into a new network of high net-worth individuals and reward loyal customers and staff. RLR MSport Director of Motorsport Operations, Nick Reynolds, said: “RLR MSport has always been a proud advocate of the North and it is our intention to support the Northern economy by providing businesses from the region with a strong, high-visibility platform on which to market their brands and products, both at home and overseas, through our participation in the European Le Mans Series, Michelin Le Mans Cup and the 24 Hours of Le Mans.